Dan Elitzer is the blockchain and digital identity lead at IDEO CoLab (a collaborative R&D network) and the founder of the MIT Bitcoin Club; Jeremy Rubin is a Bitcoin Core developer and the co-founder of the MIT Digital Currency Initiative, the school’s in-house research effort aimed at the technology. In this “Bitcoin Milestones” entry, Elitzer and Rubin recall their efforts as MIT students to boost bitcoin, using a mock interview with CoinDesk to tell the story of how they once distributed $500,000 in BTC to MIT’s entire undergraduate population. CoinDesk: Where did the idea for the MIT Bitcoin Project come from? Jeremy: I started following bitcoin in late 2011. My sophomore fall, I did a hackathon project called Tidbit with some friends. Tidbit aimed to use browser-based bitcoin mining to replace online ad monetization, but that’s a different story. I started shooting off exploratory emails immediately, and I sent one to Dan. Dan: I got into bitcoin in the summer of 2013, right before starting at MIT Sloan. I thought bitcoin had potential to boost financial inclusion in the developing world. When I read Jeremy’s email, I’d just started the MIT Bitcoin Club, where I had put on a couple events. After a few exchanges, I decided I was all-in to make this happen. I pushed us early on to go bigger and give bitcoin to all the undergrads, not just CS students, because I thought it would make for a more compelling experiment. CoinDesk: What was the bitcoin scene like when you started the project? Dan: In 2014, bitcoin wasn’t seen as legitimate yet, even at MIT. Most considered it at best a fad, at worst a Ponzi scheme. My classmates thought I was nuts for starting the Bitcoin Club. One problem was that there wasn’t any traditional community in the world where bitcoin was used and understood. Initiating network effects is really hard. Our goal was to create the first such community at the world’s premier technical university. If there was anywhere bitcoin could take off, it was at MIT. Jeremy: When we started the project, campus involvement with bitcoin was pretty minimal. A number of students knew about it and could half-explain it, but there weren’t very many projects happening. 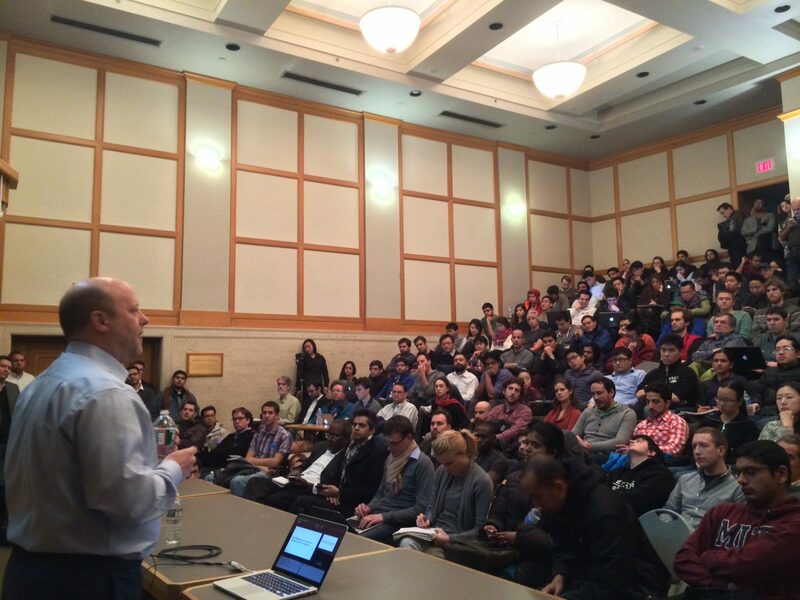 Dan: The Bitcoin Club’s first event was a talk by Circle CEO Jeremy Allaire. We closed the doors 10 minutes before the talk was scheduled to start because people had already filled all 200 seats, not including the stairs and the floor. The free dinner was long gone well before the event, so we knew students weren’t just there for a free meal. Jeremy: Before we launched the project, for a class project, I sent out a bitcoin survey. The survey showed mixed awareness among students, with some purporting to be bitcoin experts and others knowing nothing at all about the cryptocurrency. It also showed that my peers were optimistic about the potential of the tech and wanted to learn more. I was jazzed. CoinDesk: Were there any major obstacles you faced while doing the project? Jeremy: I was super worried at the onset of the project about potential controversy. While I was figuring out how to give students bitcoin, I was in the middle of a protracted fight with the State of New Jersey over Tidbit. It would have been awful if a student experimenting with the technology because of the MIT Bitcoin Project found themselves in similar hot water. Dan: That’s why we did the project as an IRB-approved research study, rather than just an activity of the Bitcoin Club. If something went wrong, at least it was MIT-approved. We were fine with that, because we certainly didn’t want to hand out half a million bucks to a bunch of students and not learn anything. Jeremy: Even though funding was so critical to the project, it was probably the least challenging part. The intersection of MIT alumni and bitcoin enthusiasts were incredibly generous with their financial contributions, especially Alex Morcos, who contributed the most substantially. CoinDesk: What was your experience like on the big day? Dan: The coin drop was the main event. We knew it would get attention, but I don’t think we realized quite how much. The level of excitement was unreal. We’d announced the first MIT Bitcoin Expo a week before we announced the coin drop. The announcement drove attendance to around 400 people. The whole event came together in just over a month and we couldn’t have done it without last minute support from HackMIT and the Society of Women Engineers. The Expo was probably the most technical bitcoin conference to have ever occurred. One of MIT’s largest and most historic lecture halls, 26-100, was packed with students and bitcoiners. I remember the Armory guys had a bitcoin-script puzzle, and the future MIT Bitcoin Club president solved it first. Jeremy: My fraternity brother, Richard Ni, helped us coordinate a summer-long lecture series and hackathon called BitComp after that. It was like a mini-incubator. BitComp brought nascent bitcoin startups to MIT (like Chain, Coinbase, Circle, Kraken and Blockchain) to advise participants. An early form of Enigma was one of the winning projects. CoinDesk: What was your relationship like with the MIT admins? Dan: They couldn’t have been more supportive of the project. We involved them early on. They were careful to make clear that MIT was not endorsing bitcoin directly, but made it equally clear that our student-driven initiative with emerging technology, entrepreneurship and experimentation was MIT’s bread and butter. Jeremy: That’s how I roped in Joi Ito, director of the MIT Media Lab, to ensure that the project would push the envelope, but not so far as to cause a problem for the administration. Dan: We also worked with two of my professors from MIT Sloan. Christian Catalini and Catherine Tucker were invaluable collaborators in formalizing our experiment as an IRB-approved study. This ensured the project had a shot at producing high-quality findings, that have been turned into multiple published papers. CoinDesk: What did the actual distribution of the bitcoin feel like? Dan: Super exhausting – but exhilarating too. Jeremy: Definitely nerve-wracking for me. During the sign-up phase, I had to run a database migration to correct a small non-critical bug. It should have been a quick fix, but due to lack of sleep, I managed to mess it up. I had to restore from the back-up database. It ended up taking me four hours or so to correct things. Dan: Our sign-up was so complicated because we were doing a number of randomized experiments. Students could sign up and provide an address to receive their bitcoin into any wallet of their choice, optionally encrypting the address they sent us. This meant that a lot of work had to go into making sure they had properly set up their wallet and were not going to lose funds. We also sent the bitcoin out in waves over a span of multiple weeks which layered in more complexity. Jeremy: The actual distribution of the coins, once we had completed sign-up, was really smooth, though. CoinDesk: How did students react initially? Jeremy: At first, a lot of people had no clue they’d received the coins. In the following few days, I got a lot of thank yous in the Infinite, MITs main corridor, and heard a few non-repeatable stories. Dan: We also saw some interesting behavior with peer interaction during the distribution. Certain dorms held office hours on how to use bitcoin. Some enterprising students offered to fill out the survey on behalf of others for a cut of their coins. CoinDesk: What were the results of the experiment? Was there anything that surprised you in particular? Dan: We expected to see more traction on retail and peer-to-peer payments during the experiment. We ended up seeing limited use of bitcoin for both, despite a handful of local merchants accepting the cryptocurrency. 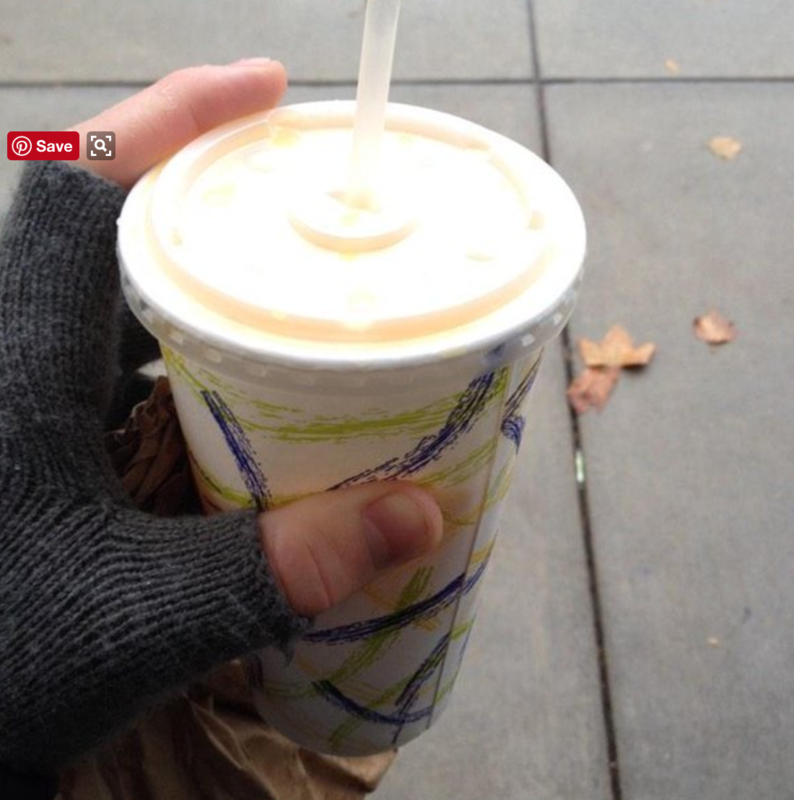 Jeremy: I bought a mango smoothie from a ‘bitcoin-ready’ burrito joint, but the cashier was confused on how to do it correctly. Despite my protests, they undercharged me. 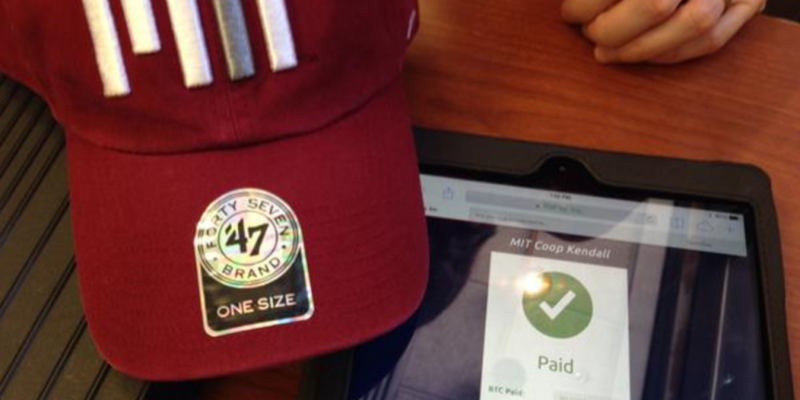 Dan: I purchased a hat at the Coop, MIT and Harvard’s student store. Not only did it take them five minutes to track down the only iPad in the store set up to take bitcoin, but I had to leave the store to send the transaction because my phone wasn’t getting any signal at the register. Jeremy: Our experience wasn’t common though – many students just held onto their coins! I think that retail usability hasn’t improved much since, so we’ll see what the coming years bring. CoinDesk: What’s the lasting legacy of the project? Dan: Christian Catalini and Catherine Tucker published multiple papers on how a nascent network platform can flourish (or languish) depending on how early adopters are segmented, and the ways in which users of the system who claim to value privacy are susceptible to relatively small incentives and tweaks in messaging. Jeremy: I’m most proud of how well the community at MIT is doing, especially the DCI, the MIT Digital Currency Initiative – currently led by Neha Narula – which was founded as an outgrowth of the MIT Bitcoin Project. Dan: The MIT Bitcoin Club is still very active, having just hosted the fourth annual MIT Bitcoin Expo. I’m really pleased to see the community at MIT in such a strong position. Jeremy: What’s most amazing to both of us is that, through the last three years, we have both still been so captivated by bitcoin. And to see our captivation with bitcoin shared across MIT a year after we’ve both graduated is really cool!